“The grass grows greener, the sun, it shines brighter and the sky is bluer in Beverly Hills.” scoffs a resident Angeleno, earlier that day and we laugh mockingly. Yet as the iconic gold and chestnut Beverly Hills shield comes into view, the derisive attitude towards the Golden Triangle city drifts a little, for lo and behold, the sky is suddenly a serene ceiling of cerulean blue, the grass a rich radiant Kelly green (not a thirsty tip in sight) and the sun lends a warm beaming embrace. 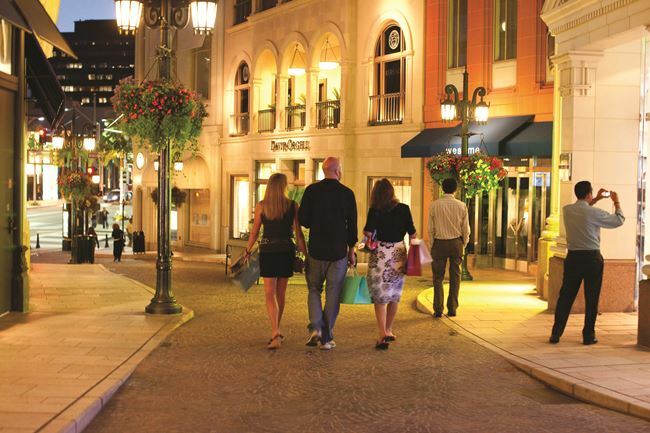 I don’t have a car and I do not know how to drive (facts that receive animated disbelief from Angelenos I meet throughout my trip to L.A), but unlike the majority of neigbourhoods/cities in L.A, Beverly Hills is very much a walkable city and best enjoyed at a leisurely pace. Here, it is all about savouring the delectable and indulgent, chiefly conquered with a laid-back manner. The prominent Beverly Hilton is my abode for the duration of my visit and though it doesn’t quite enjoy the warmth and individual disposition of the boutique hotels I usually favour, its efficient service, majestic pool, two fantastic restaurants and The Aqua Star Spa with it’s Red Carpet treatments, as well as its rich heritage of catering for Hollywood celebrities (as well as Barack Obama) makes it the perfect host for a dizzying Beverly Hills exploit. 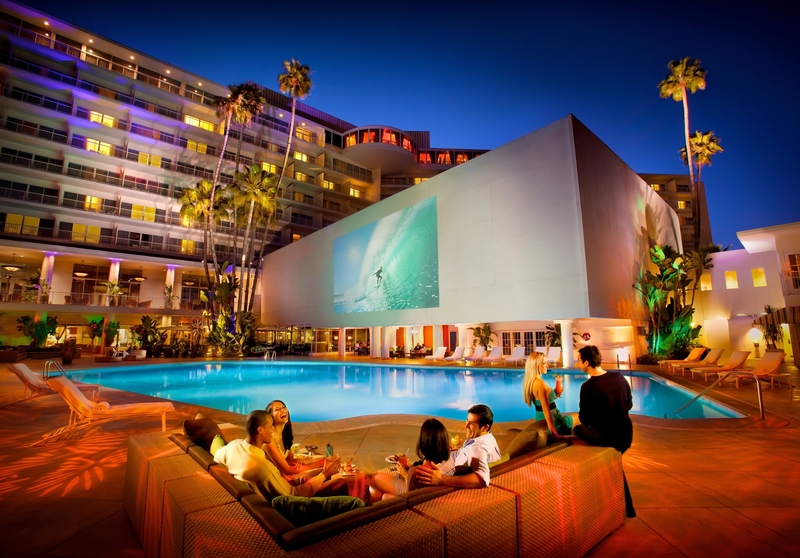 Beverly Hills boasts a wealth of luxury hotels. Amongst them is the stunning Beverly Wilshire, famed for being featured in the film Pretty Woman and popular with dignitaries and the Hollywood elite. My brief visit to the hotel’s lobby begets from me, a tirade of adulation; its art-deco design is simply, stunning. The Montage and L’Ermitage too are hotels worthy of their 5 Star ratings; both offering beautifully designed and furnished accommodation, sumptuous dining and extravagant spas. On my first evening in the city, I sample the menus at both Trader Vic’s and Circa 55 at the Beverly Hilton (reviewed on Haute Arabia), leaving very full and very satisfied. Craving something a little less indulgent, a tad more down to earth and gentler on my purse, I venture to The Brighton Coffee Shop the next morning, a rustic diner-like establishment popular with locals, where the food is nutritious, wholesome and tasty. 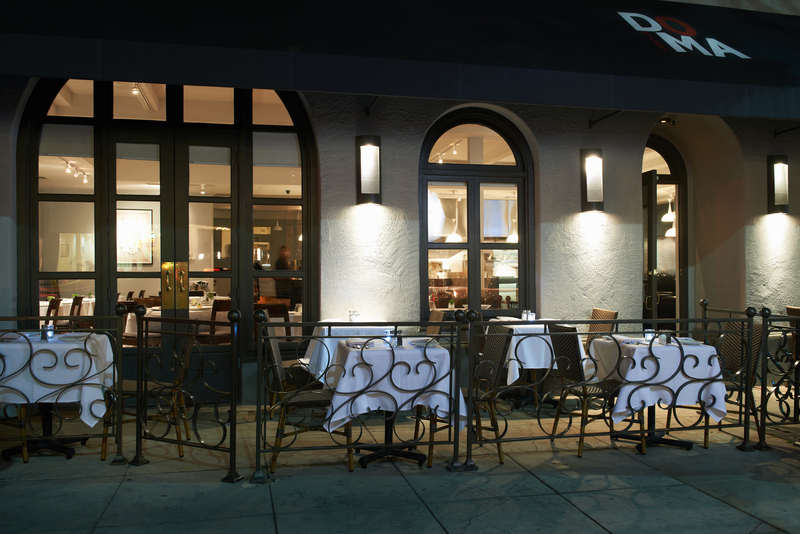 My favourite meal in Beverly Hills, is by far, dinner at Italian restaurant Doma. Though generally known as an Italian eatery, Doma’s menu is curiously infused with Asian flavours – an unusual union that produces surprisingly delightful taste sensations. The décor is dark and decadent and incorporating the Beverly Hills shopping legacy, the striking fashion meets food artwork makes for interesting conversation over a decadent meal. The open kitchen offers a unique opportunity to glimpse the activities of a working kitchen. This, together with its warm, welcoming and sincerely enthusiastic staff who all appear to be having a great evening, come together to accomplish an intimate and cheerful atmosphere, not unlike that of a celebration meal with close family and friends. Tip: If you’re after a super fast, yet fabulous manicure, stop by Bella Nails (across the road from Doma, on North Camden Drive). My guest and I popped into the salon before our meal at Doma and left 20 minutes later, with wonderfully soft hands and perfectly shaped and painted nails and prices that made us swoon (a sweet $15 for a luxury 20 minute manicure). When speaking of Hollywood glamour, this is rarely a tribute to the neighborhood of Hollywood itself. Rather, it’s the city of Beverly Hills that holds within it, the history, the decadence and luxury lifestyle of the Hollywood that enchants us.